Why sit in traffic? 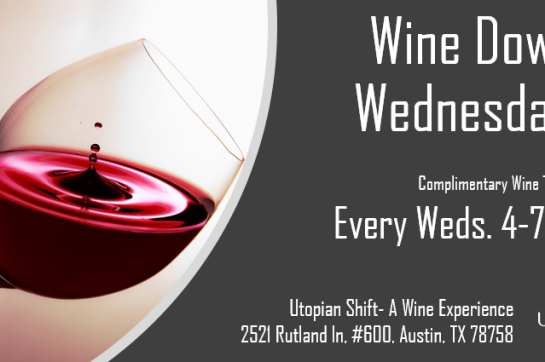 Instead come on over to Austin's only try before you buy wine store, Utopian Shift—A Wine Experience, and join us for a complimentary wine tasting! Join us Wednesdays from 4 to 7pm and you’ll be able to sample 10+ delicious wines....Yum! Feel free to bring along friends and come discover an unbelievably fun new way to buy wine. Cheers and we look forward to seeing you soon!